Apart from the fact that this book was so heavy (which made it very awkward to read), it was actually very good. Even if I’d not known it was written by Charlaine Harris, I think I would have been able to tell; she has a very specific style of writing. You could really tell that this was one of her earlier books though (written in 1990), as the writing was less descriptive and the story slightly less developed than her other books that I’ve read. Saying that though, it was still a very well written book, and I couldn’t put it down once I’d started. The story is about a small-town woman called (you guessed it) Aurora Teagarden. She’s a member of a group called ‘Real Murders’, a rather odd group of people who meet once a month to talk about historical murders and discuss the case and the culprit. That is, until one of the group is murdered before the start of one of the meetings and other people within the group start dropping like flies. It’s a race against time to find the murderer before other people are killed. What makes the murders more strange is that they are all based on murders that have been discussed in the group, so it’s almost a certainty that it is one of the group that is responsible. The story builds up and up until a dramatic couple of chapters at the end where we find out who the murderer is, and it’s not who you are led to suspect for the whole of the book, it really shocked me! I think I’ll give this book 4 out of 5, if only because I’m comparing the book to other Charlaine Harris books that I’ve read and it wasn’t quite as good. If you’ve read this, would you agree? 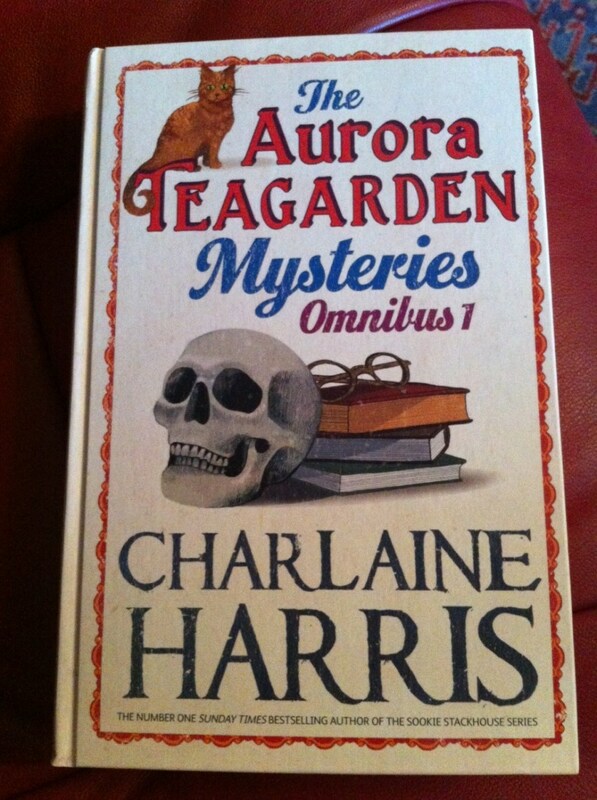 Charlaine Harris is one of my favourite authors. I’ve never heard of this series but will now have to investigate. Thanks for sharing! It’s very good so far. Although disappointingly, I bought this book quite a while ago and now I have found out that the second omnibus is £40 on Amazon! I think I’ll have to buy the e-book version instead (as much as I hate to do that). 40 pounds seems a bit steep! BTW, Is this book as racy as the Sookie Stackhouse series? It’s definitely not as racy as the Sookie Stackhouse series, the most it’s got so far is a kiss with the Vicar! I’m only two books in though, and you know what Charlaine Harris is like! A kiss with the Vicar! That’s pretty racy 🙂 Have you read the series by Charlaine Harris with the sister and ‘brother’ sleuths. The sister, Harper, can find where dead people are buried. All the books have ‘Grave’ in the title. I think they are called the Harper Connelly Mysteries. Those are a good read if you haven’t already read them.